1) Throw the chopped frozen bananas, the coconut cream / yoghurt into the blender with the vanilla essence. Blend and add caramel stevia to taste. 2) Pour the thick creamy mixture into kids ice cream moulds, layering with sprinkles of the ballBag mix (or just mix it in before you pour the smoothie into the moulds). 3) Freeze and go do something to take your mind off them while they freeze! 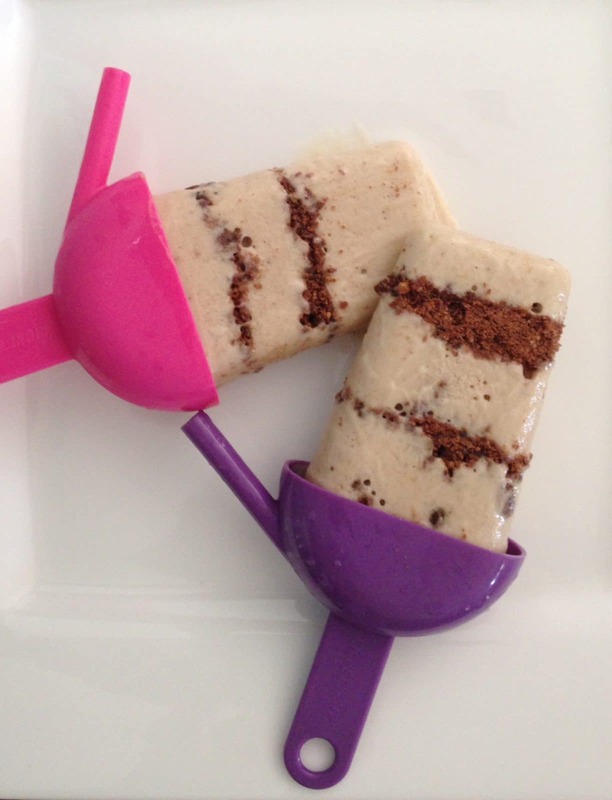 These are amazing for after school treats or dessert – kids (and adults) LOVE them! Just watch the stevia drops, more is not better as the taste can be overpowering – a little goes a long way!